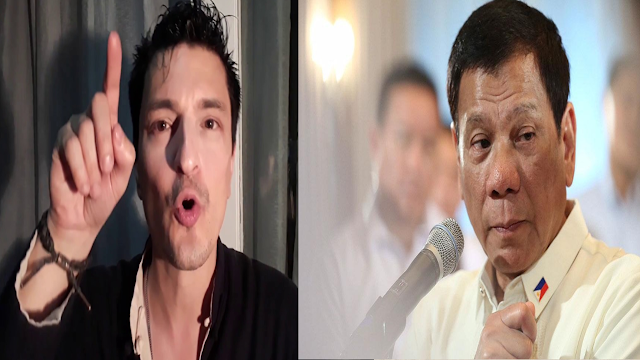 Kuya Manzano, a Filipino-Spanish actor residing in the Philippines praised President Rodrigo Duterte for the results of his drug war, saying that he now feels safe at night. The actor who lives in Sampaloc said that he is grateful for the President, because now, he along with several citizens, girls, and students feel safer when they walk the streets to their homes at night. Contradicting Duterte's critics who scream "human rights", Manzano said that it is far more important to safeguard the safety of the innocent rather than give the drug criminals their due process. He said that doing drugs at home, is "fine", but repetition is detrimental. "Finally we have someone with the balls to go against anything to fix the country out of love." He thanked Duterte, "our hero" for going against public opinion to allegedly fix the country. "Most of the people in this country love him," he said defending the President from the strikes by foreighn media. He said it is the citizens who see and realize the fixes that Duterte has done for the country. "He's changing the Philippines very fast. Do you think change is not gonna be painful? Do you think it is easy? It's not". He said that like change, growth and learning is always painful. "You want change? Pay the price," he said. To Duterte's critics, he said they are "poking the eyes of the driver", and they are passengers. "Accept his leadership," he said, since Duterte won the elections, adding that it's hard to handle the job. “Bravo Duterte for being matapang,” he said.